Our Tryout dates have been rescheduled due to various conflicts. Please go to the Tryout Schedule for details. 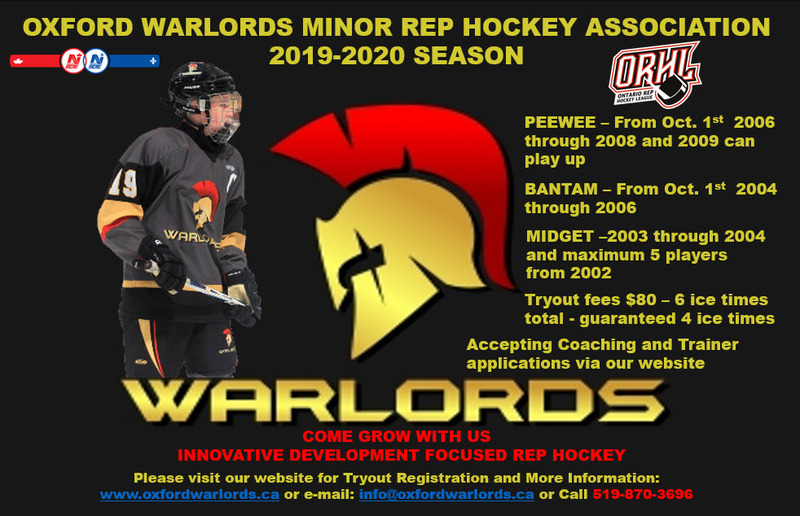 The tryouts will be held at the Southwood Arena in Woodstock (Green Pad). See Team calendars for specific times for each division. The tryout fee is $80. There will be 6 ice times in total. Four sessions are guaranteed. The home exhibition games for Peewee and Bantam have been scheduled as well. The dates for the remaining games are TBD. Check back for updates.